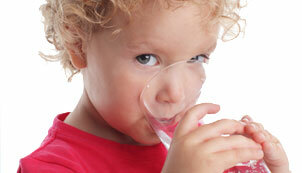 Aqua Clear purifies and bottles the freshest and best tasting water available. We only sell the best in high quality bottled water coolers. Our Brita Hydration Stations are connected directly to your water line. Aqua Clear only sells the best Pros Pick Dura-Cube and Dura-Cube Red-Out water softening salt. Aqua Clear has been servicing homes and business in North East Ohio for over 40 years. As a family owned business we are able to provide the personalized service you expect and deserve. Our bottling and distribution system is based on providing you with the freshest, purest, and best tasting water you can find. Aqua Clear is an accredited member of the Better Business Bureau. Please choose us as Your water provider. We appreciate your business. We purify and bottle at our plant to provide with the freshest water available. Our delivery system is second to none. You will never be without bottled water. The No-Bottle system for your business provides you with an unlimited supply of purified water at a low monthly cost.